What do you like to do in game: I like to farm. How do you make money/fund your character: Events. What is your idea of ​​loyalty to the guild: To respect and honor other guild mates and your guild. Tell us something about yourself:I like long walks on the beach and reading romance novels. What is your motivation for joining iCe: To be a badass just like the other iCe members. Also I feel like i would make a lot more friends here since my current guild is very inactive. Since i'm alone most of the time in my guild. What do you like to do in game: I like to farm events mostly and talk to close in-game friends. What are your in-game goals: To catch them all. To make dosh to gear up my ranger since it has decent gear and has space to improve. How do you make money/fund your character: I farm events and planning on trying to farm some dungeons with some friends. Tell us about a experience you had in-game that had an memorable influence on your attitude towards Flyff (good or bad):Joining my first guild and having people that helped me and people to talk too. Tell us something about yourself:I like long walks on the beach and reading romance novels. I also enjoy playing other games besides flyff. i wonder tell me more about yourself what kind of person you are. 1.. for us to consider your app you will need to fill out the *paraphrase* answers a little more fully... think about them and really give us an essay please..
2.. I think you will need to consider changing your name prior to joining..
3.. why did you leave AA? I have already changed my name from Ballz4urface to PandamoniumX. What is your motivation for joining iCe: My motivations for joining iCe are because i feel like my current guild that is dead won't help me much on improving myself. I feel like iCe is what i need to improve myself as a person and to improve my in-game character by just being around those who still enjoy the game and can play it competitively. What do you like to do in game: When I'm not afking I tend to be farming events to try to make money for my gear. Also, trying to find ways of making money in-game to improve my gear. I really enjoy talking to my guild mates if they ever get online. What are your in-game goals: To catch them all. To make dosh to gear up my ranger since it has decent gear and has space to improve. So basically my current goals are to join iCe and to gear up my ranger to be the at least half as good as those rangers currently in the guild. How do you make money/fund your character:My main source currently is events but currently there has been some pretty bad ones so i have been buying and reselling items. I would really like to farm dungeons and currently working on ways to make this happen. When I can start farming dungeons I'll be farming non-stop until my gear is perfect. What is your idea of ​​loyalty to the guild: My idea of loyalty is too stick with your guild in thick and thin. To never betray each other and to be the best you can be for yourself and those around you. To improve from each to make each other better at what you are trying to improve on. Tell us about a experience you had in-game that had an memorable influence on your attitude towards Flyff (good or bad): Joining my first guild in this game and having people to help you get along in-game. This made me stick with flyff even through all the leveling the game has. I feel like being in a good guild is one of the most important things if you want to keep playing and improving. Tell us something about yourself:I like long walks on the beach and reading romance novels.I enjoying playing other games such as Diablo 3 and DotA 2. If I'm not on FlyFF or just simply afking I am most likely playing one of these games. To me school is very important and take pride in it too. I mostly spend most of my day on games or at school. Give us a reason why we should consider you:Rage said i was the shiet and he said i could join and he doesn't break promises. But in all honesty I can help in anyway I can and I can make my character 10 times better. When i reach 150 all I can do from there is just improve my character and just be helpful in guild and do whatever is asked of me. 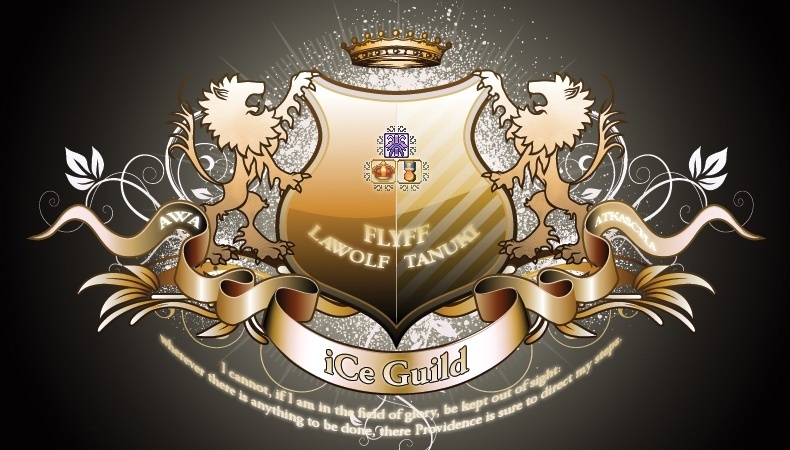 Your thoughts about iCe itself: Awesome strong guild and has best and nicest members. iCe is one of the top guilds if not the top and has stuck together even after seeing so many of the top guilds disappearing but, this guild has always manage to stay together and to stay strong. If I could join such a respected guild would be an honor for me.